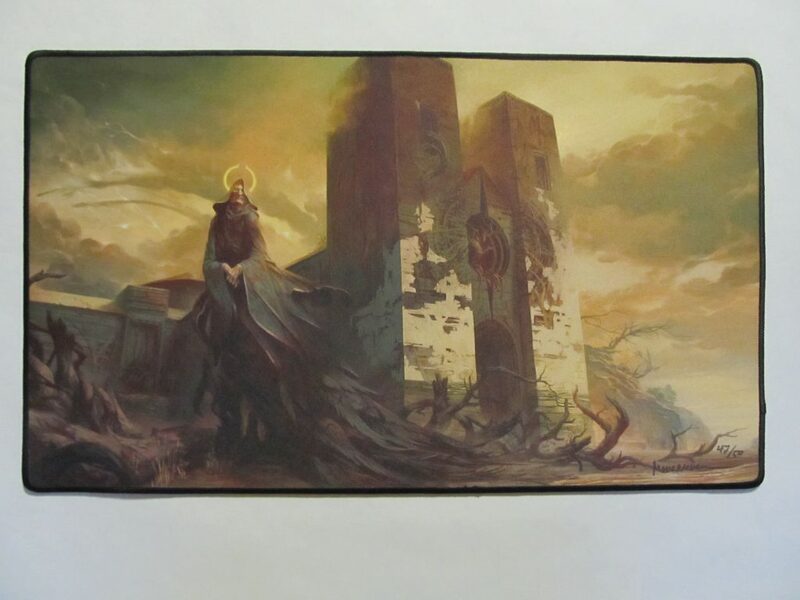 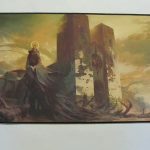 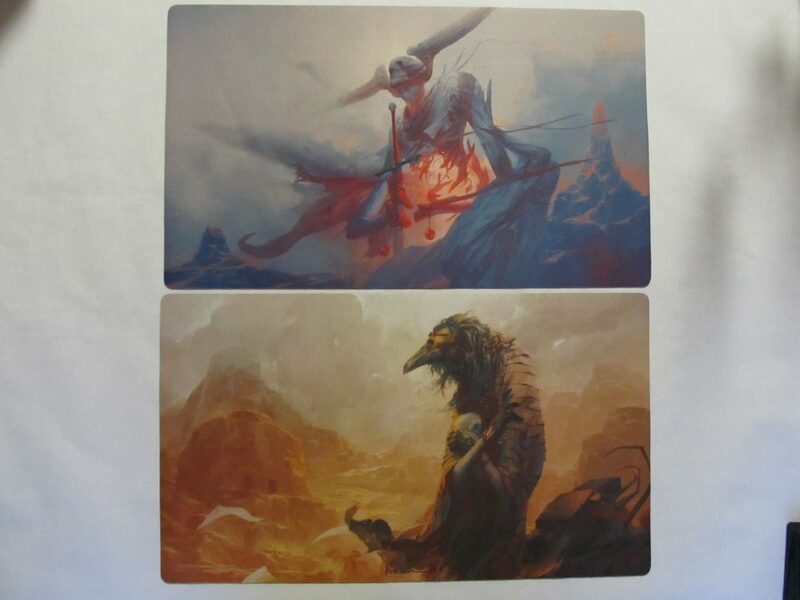 To begin, Angelarium has donated five absolutely stunning playmats. 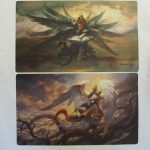 Each mat measures 24″ x 14″, and features the gorgeous artwork of Peter Mohrbacher. 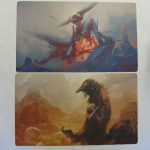 These are all limited edition, and many of them are no longer for sale on their site, as they are only printed in runs of 50. 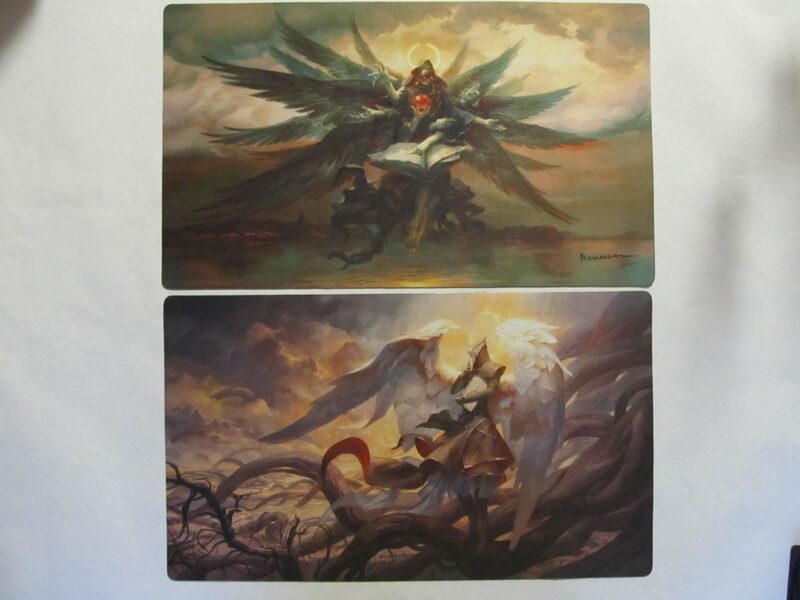 Next, Axolote Gaming has donated 16 cards which are redeemable for their 3D model files. 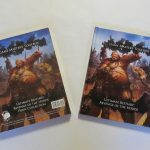 These are detailed, high-quality sculpts; all you have to do is take the files to a 3D printer and they will be accolade-worthy additions to your miniatures collection. 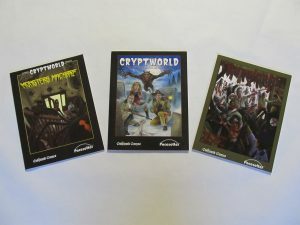 Goblinoid Games has donated three sourcebooks from their collection: Cryptworld, Cryptworld Monster Macabre, and Rotworld. 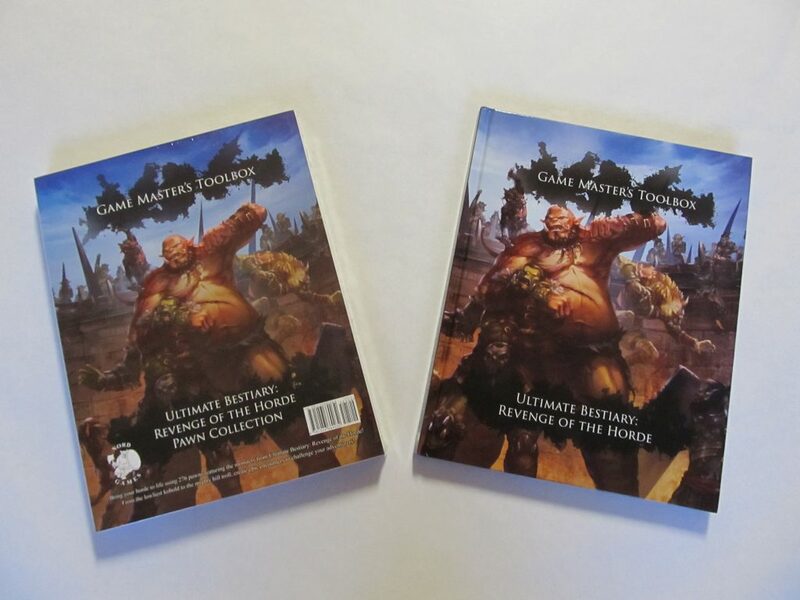 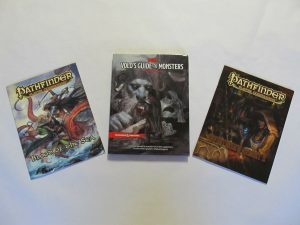 Miniature Market has generously donated a copy of the Pathfinder Adventurer’s Armory, a copy of Pathfinder Blood of the Sea, and a D&D 5E Volo’s Guide to Monsters. 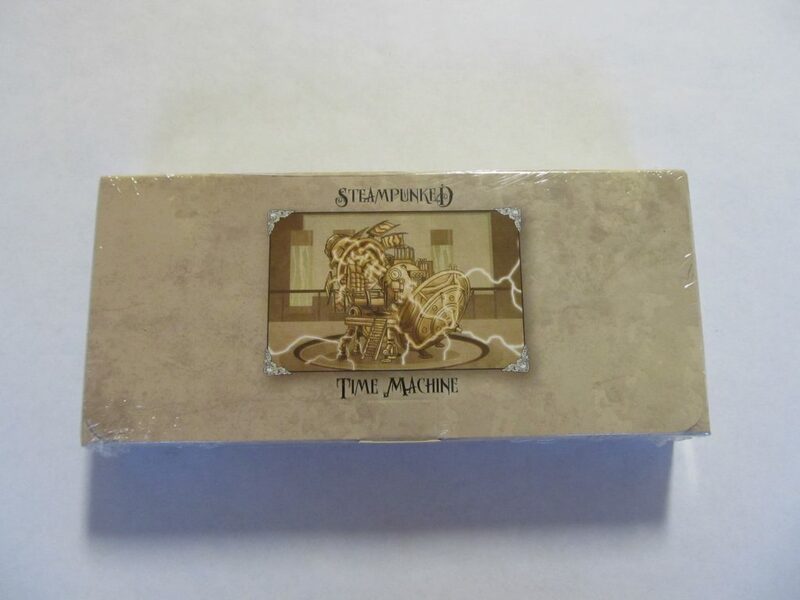 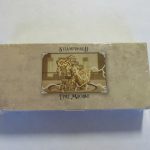 Nord Games has stepped up and contributed a copy of the Steampunked Time Machine card game with all expansions, as well as a copy of Ultimate Bestiary: Revenge of the Horde and its accompanying pawn set, so you can make sure your monsters are as monstrous as they should be. 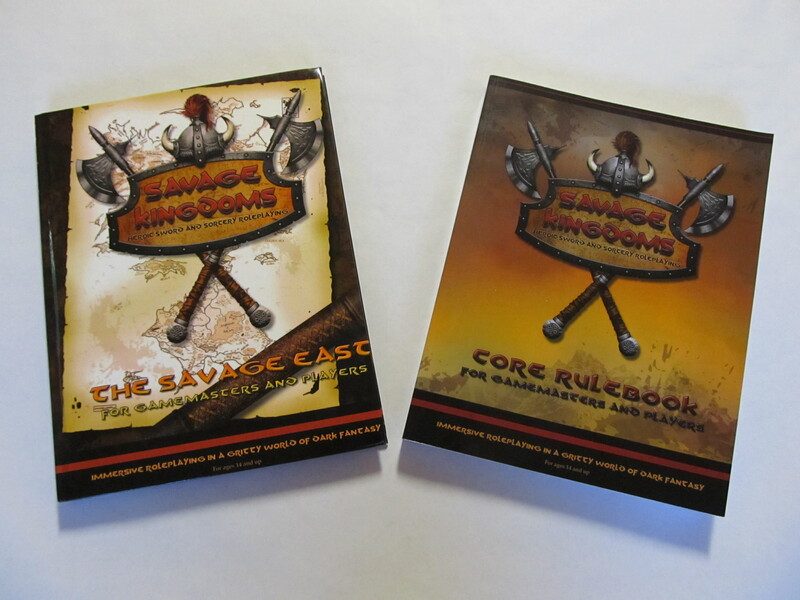 And last but not least, Savage Kingdoms, one of our locally-grown RPGs that made good in the world, has donated a first edition Core Rulebook and a copy of The Savage East. 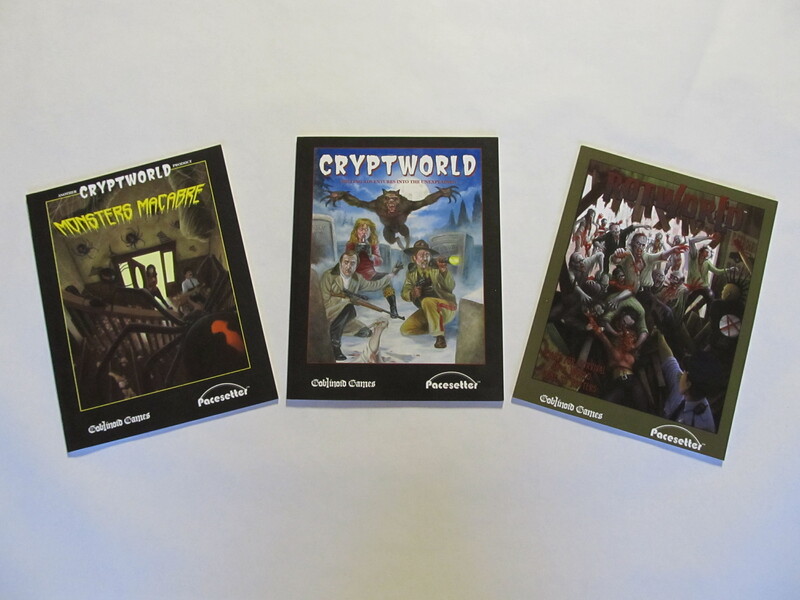 That’s all for today…but that’s not all! Stay tuned for our next edition of Prize Peek, coming soon on a random day you most likely cannot predict, but guaranteed to bring you joy.